Nestlé Purina is running a television commercial especially for dogs. The TV commercial for Beneful, run in Germany over the summer and now to be screened on Austrian television, uses different sounds to capture the attention of four-legged friends and their owners. The advertisement uses a squeak, similar to the sound dogs’ toys make, a high frequency tone, similar to a dog whistle, and a soft, high-pitched ping which can be heard by dogs and people. 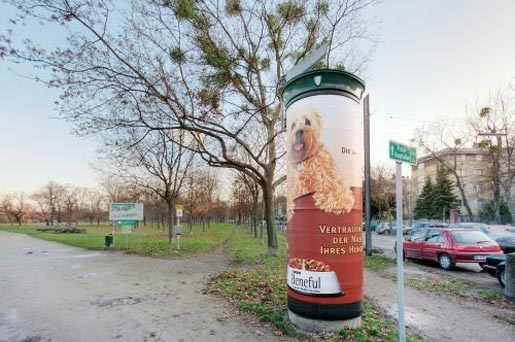 The Beneful advertising campaign includes an online competition in which owners can categorise their dogs in response to the three sounds. Is their pet more of a playful character wagging their tail excitedly at the squeaking sound? Or is their dog more active, responding to the high frequency dog whistle? Maybe their dog does not respond at all and is thinking about the next Beneful meal? 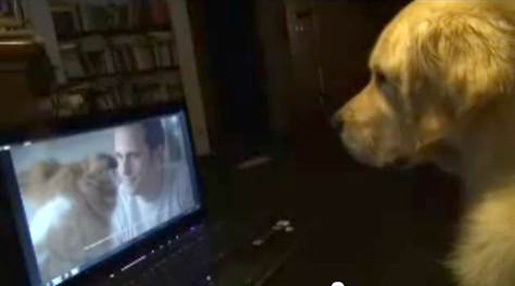 Together, dogs and owners can listen to the three sounds separately from the commercial. Owners can then pick which one their dog prefers and can enter the information onto the website to have a chance to win a year’s supply of Beneful dog food products. The TV commercial follows the award-winning Nestlé Purina ‘Stop-sniffing’ campaign which was launched in Germany last year. 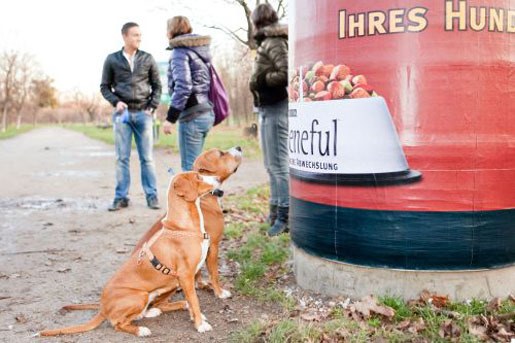 Dogs were able to sniff the scent of Beneful dog food from special posters on advertising boards in German towns and cities, while out for a walk with their owners.